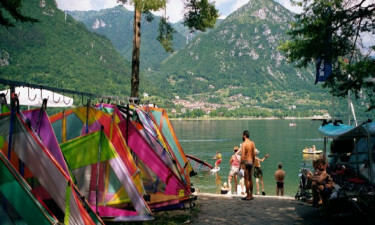 Rio Vantone is a luxury camping site found within the famous Lombardy region of Italy. Not only is the climate here breathtaking, but the conveniences to be enjoyed will leave any family coming back for more. To obtain further details, please speak with a representative at LUX-camp. Why Should I Choose this Holiday Camping Site? A splendid view of Lago d'Idro. Perhaps the most famous body of water in Italy is Lake Como. However, many visitors here feel that Lago d'Idro is one of the best-kept secrets of the entire country. Its tranquil shores are surrounded by pristine nature and these can be accessed in only minutes from one's mobile home. Not only are picturesque views offered, but these sandy beaches are perfect for a picnic or for anyone who hopes to enjoy the inviting Italian sun during their next getaway. 4 individual washing portals provide a greater sense of privacy during one's stay at this holiday camping site. Baby changing rooms are made available at no extra charge for those who plan on arriving with their children. A group lounge as well as state-of-the-art cooking facilities are likewise open for all visitors. Charcoal barbecues are permitted on all pitches and for an added sense of luxury, a fully equipped laundrette is also found here. Camping luxury has never been more of a reality. Guests will not have to travel far to kick back and relax. Table tennis, volleyball and a large outdoor pool are only metres away from one's mobile home. This luxury camping resort also provides entertainment for children as well as a supervised playground. So, parents will be able to enjoy some much needed "breathing time" during their stay here. Other options such as tennis, sailing, surfing and golf can be found within a short drive from this luxury camping site. 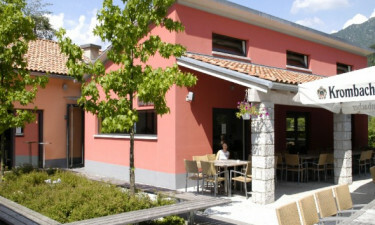 A traditional restaurant found within this holiday camping site offers up some true gastronomical adventures. Local Italian dishes of fish, fresh game and cheeses are quite common. Of course, pizza is another option that most children will enjoy. Grilled meats, stews and fresh pasta will help to round out any dining experience. A bar is likewise able to cater to those who may hope to sample local wines from regions such as Trantino and Franciacorta. International beers and cocktails are also available. As with most luxury camping resorts, there is a supermarket found within this site. Many local Italian delicacies can be found here such as fruits, vegetables, fresh meats and other produce. Soft drinks, wines and toiletries are also available. A snack food outlet sells international newspapers, tobacco products and more. Should you be interested in learning what other amenities this amazing camping site has in store, LUX-camp will be pleased to answer any additional queries.